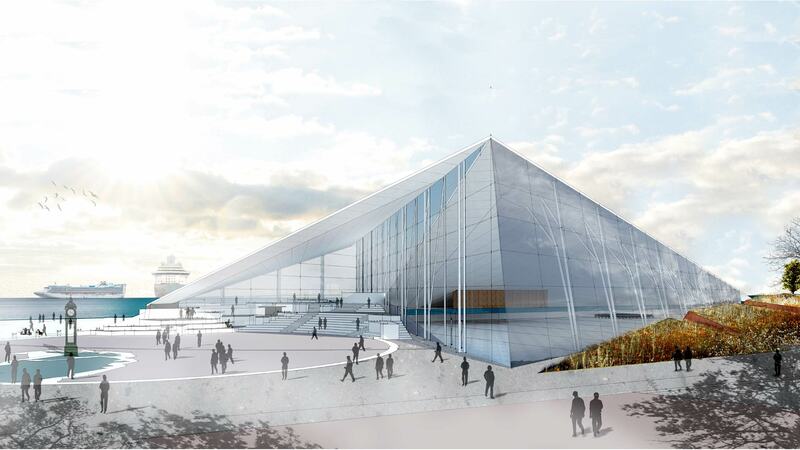 Due to the increasing number of tourists who want to visit Antarctica, the southern Chilean city of Punta Arenas has commissioned a design for a new cruise terminal. 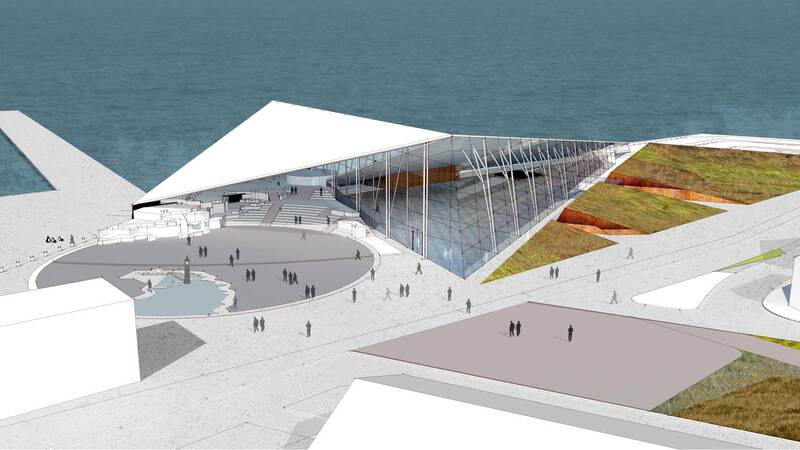 This multifunctional terminal (TIP) will be built in the port of Magallanes. 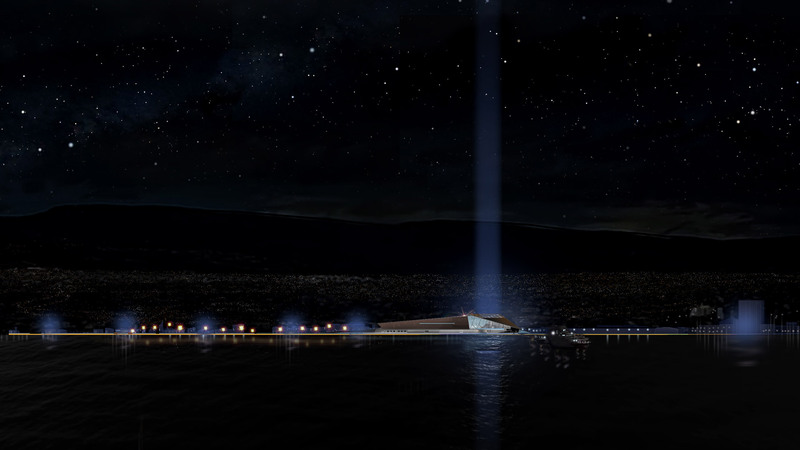 The building will face south towards Tierra del Fuego. 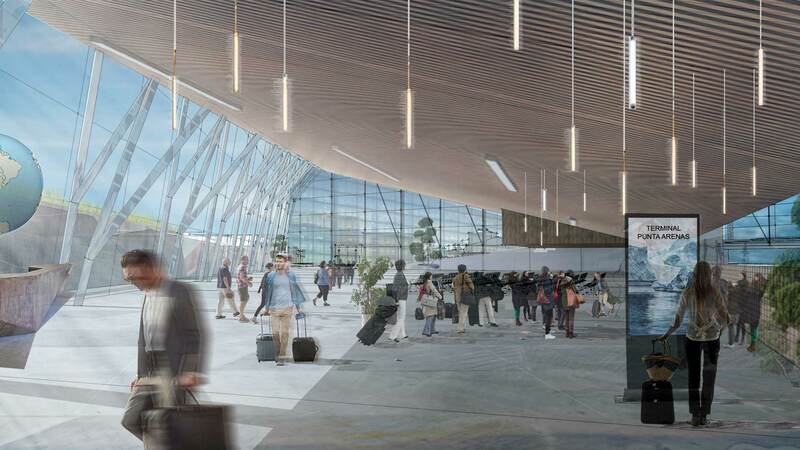 The TIP will serve not only as a departure point for passengers but will also provide the city with a permanent and iconic location for regional and urban events and festivals. The design of the TIP is based on the forms used by the native peoples (KAU) – a triangle. 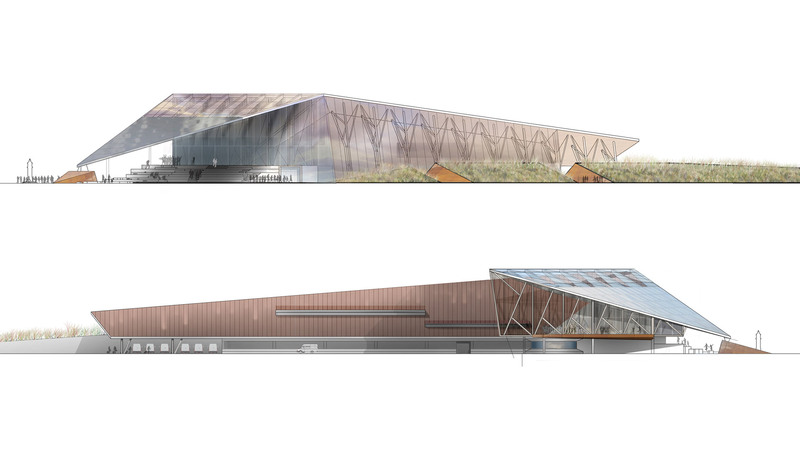 The triangle is positioned in such a manner that the building is integrated into the urban environment. The design offers the possibility to accommodate multiple functions. All facades are made of glass, so visitors always have a view of Punta Arenas. This protected glass space offers the city an additional covered public space. 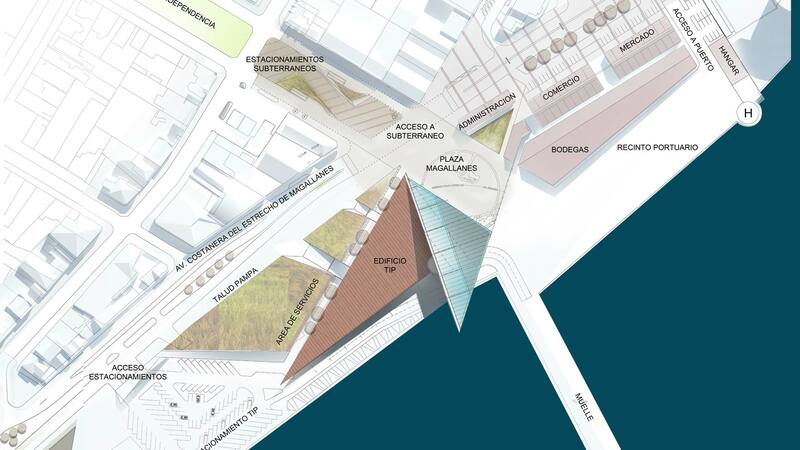 Due to the shape of the roof, a folded origami triangle, a new and exciting relationship to the city will be created. 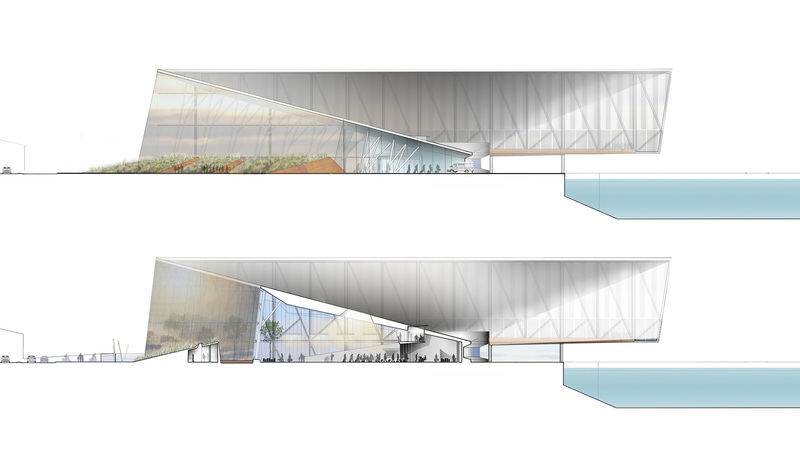 The design offers much greenery consisting of gardens and the roof which will contain several different parts. Its focus is toward the city thereby establishing a new urban green landscape covered with indigenous plants. The Avenida Independencia opens onto the new Magallanes square – elevating like an amphitheatre in the direction of Antarctica. 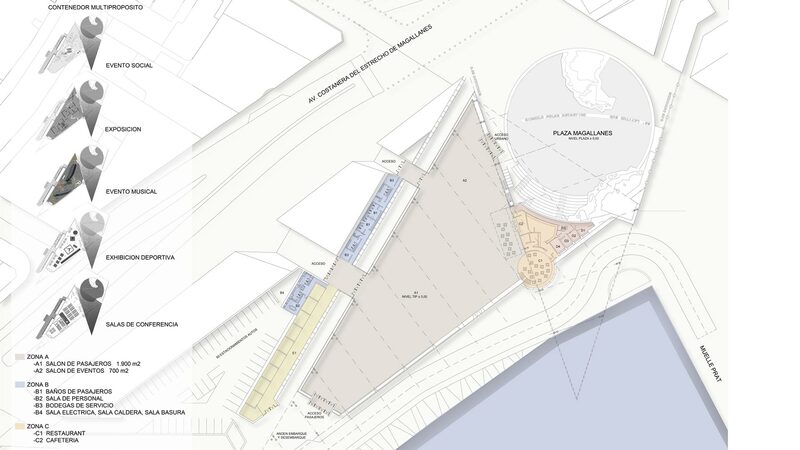 This intervention provides an important relationship between the city of Punta Arenas and the Polar Zone. 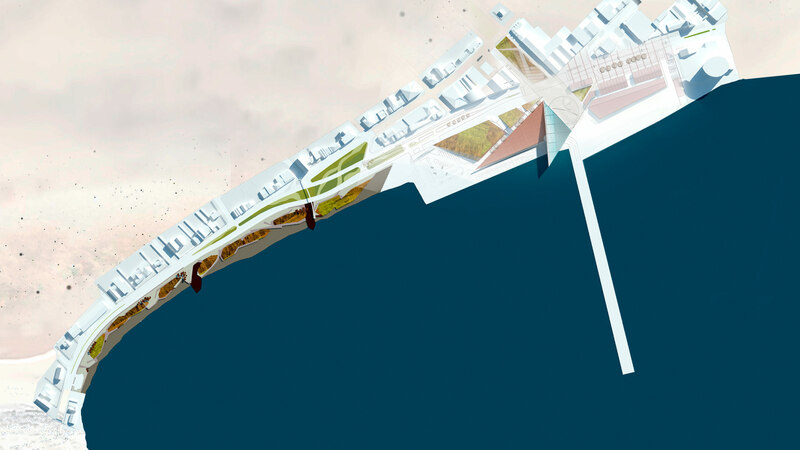 The proposed plan also provides a suitable, seafront landscape. It involves a pedestrian trail among old, stranded shipwrecks that lie in wild grasslands along the coast, like small green oases. This coastal landscape echoes the rugged weather in southern Chile. The coast has a double meaning because the oxidized shipwrecks are also reminders of Chile’s troubled past. 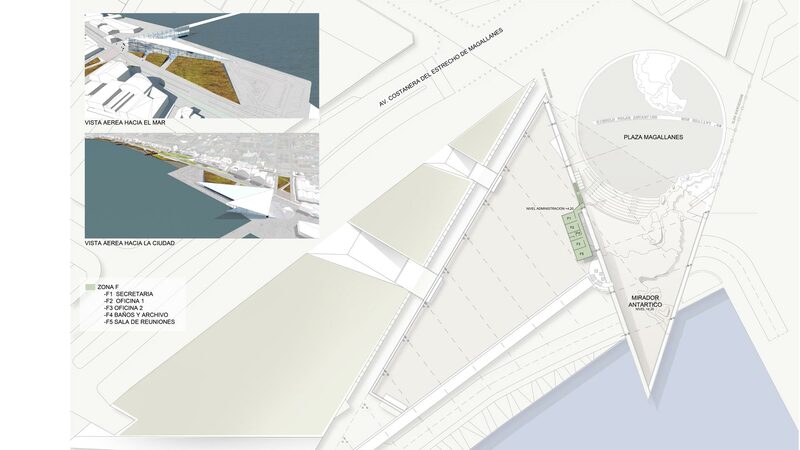 The vegetation proposed in the plan consists mainly of grasses which will add colour and motion to the environment.